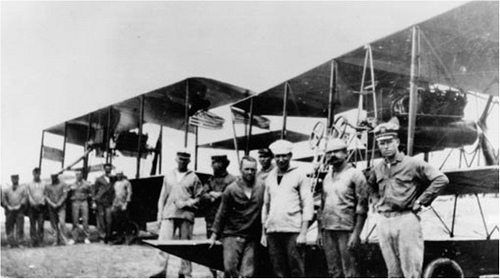 First Combat Deployment Of Naval Aviators 1914 | Yorktown Aviator's Blog - "Call The Ball!" On 21 April 1914, United States naval forces under Rear Admiral Frank F. Fletcher pushed ashore at Veracruz, Mexico, during a crisis precipitated by Mexican strongman Victoriano Huerta. Huerta had taken power in a coup d’etat in 1913. President Wilson attempted to prevent him from getting arms during the following Mexican Civil War, but Huerta arranged to import arms via Germany (the shipment was from Remington Arms in the US). Wilson deployed naval forces to Veracruz to prevent the arms shipment and American forces moved ashore on the 21st and by late afternoon were bogged down in street to street fighting. Two aviation units were deployed to Veracruz in support of combat operations and these young naval aviators would be the first to fly and be shot at in combat. The first aviation unit under Lieutenant John Towers had departed on the USS Birmingham on 20 April and a second aviation unit was deployed onboard USS Mississippi under Lieutenant J.G. Bellinger. The two naval aviation detachments consisted of four rated pilots, three student pilots and five aircraft, probably all Curtiss F-Boats (Navy designation was AB-3) which were used for training aircraft at Pensacola. In the photo below are seen four of the naval aviators involved in combat operations at Veracruz, starting at the third from left and going right are LT Bellinger, LT Saufley, LT Towers and LCDR Mustin. 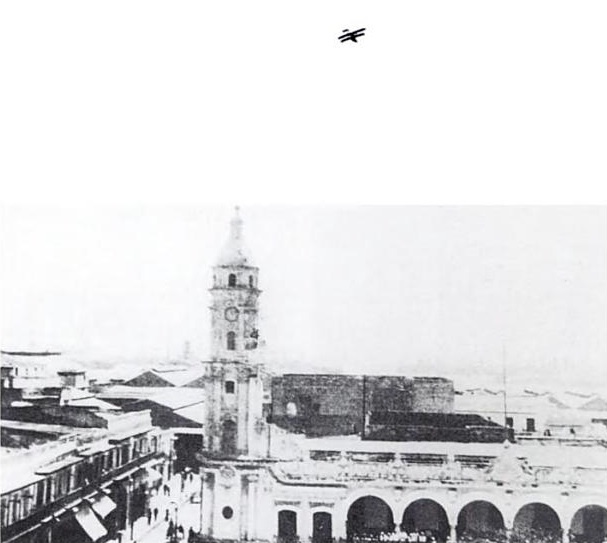 The Curtiss flying boat piloted by LT Bellinger at Veracruz in flight with Bellinger as pilot (location here is unknown). President Wilson was the first to call naval aviation into harms’ way, but it was just the beginning of Presidential Use of naval air power. Presidential Use of naval aviation in support of national and humanitarian interests would grow in importance during the 20th century and into the 21st. America today would be hard to imagine without naval aviation. Aviators and aircraft have become a powerful, viable and flexible tool for all Commander-In-Chiefs, who knows what the next century holds?